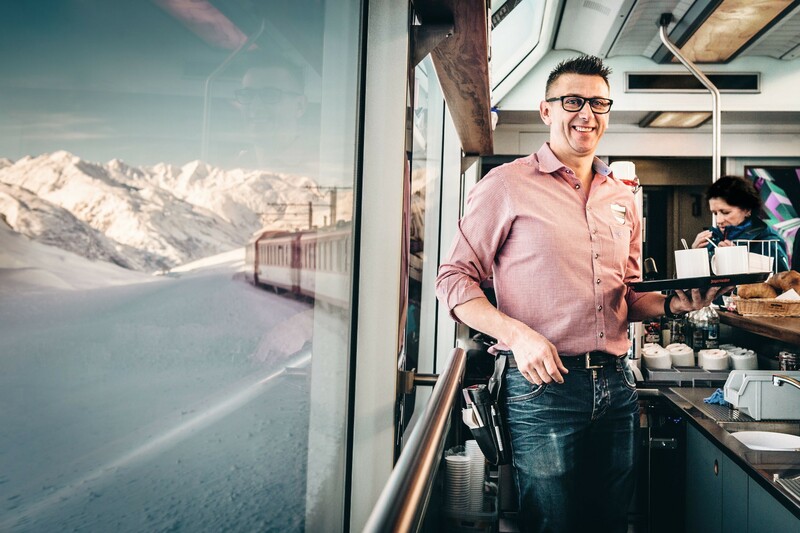 Every day, twice a day, Victor Costa rides the après-ski carriage on the round trip from Andermatt to Disentis via the Oberalp Pass. 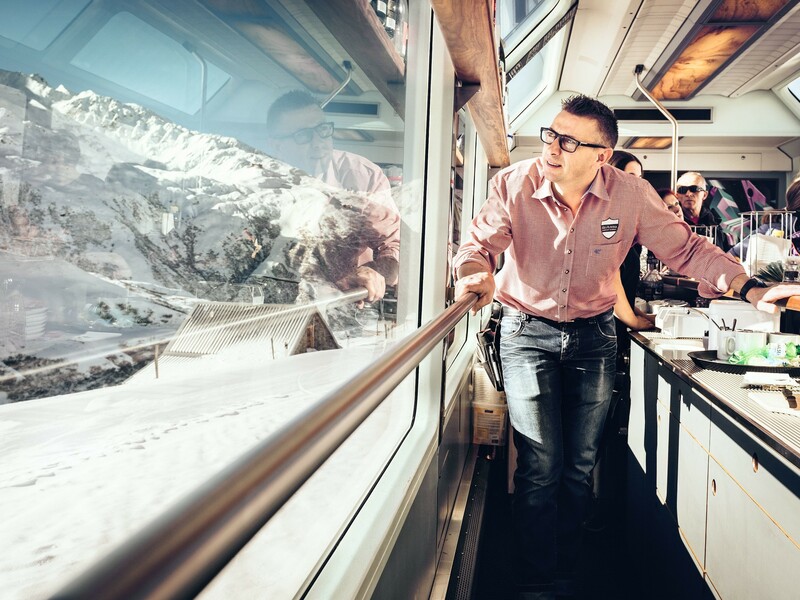 For holidaymakers with a ski pass, the ride – 2,033 feet above sea-level – is free. 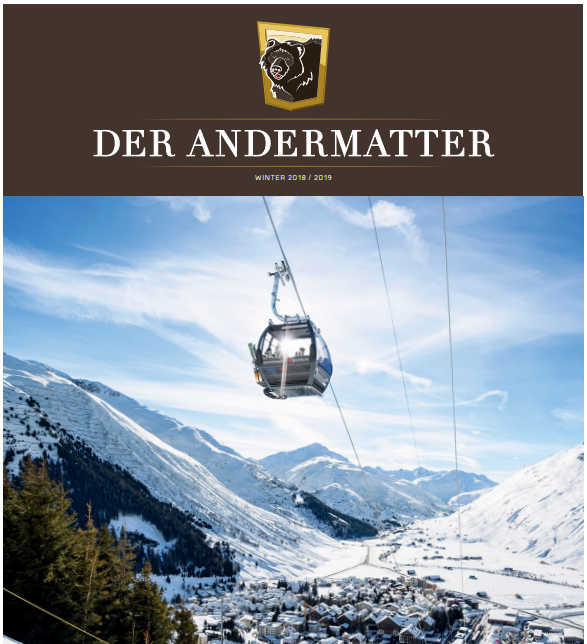 In summer, a mountain road connects Andermatt with Disentis, but in winter, when the snow turns the mountains into a glittering fairy-tale landscape, there is no way through. Unless, of course, you're on board with Victor – who greets his customers with a cheery "What can I get you?" On offer is a range of drinks and regional dishes, often featuring local cheeses and cured meats. And when the snow is falling outside, it's remarkably cosy inside. "Sometimes customers are so busy warming their hands on their hot chocolate that they forget to drink it," says Victor. Initially at least, the snow was something of a novelty for Victor. 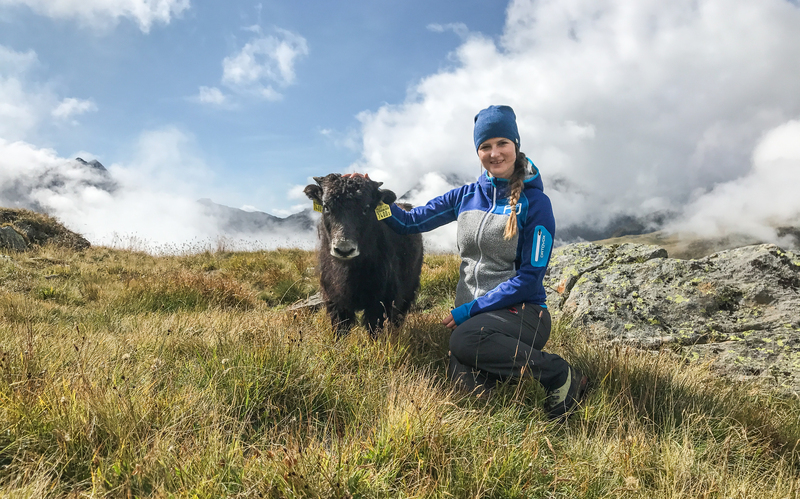 Born and brought up on Portugal's northern Atlantic coast, in 1994 he succumbed to a growing feeling of wanderlust and found work in Andermatt. It was a journey into the unknown that has worked out very well. "The sea is beautiful, of course," he says. "But just look at these mountains. The snow and the cold aren't for everyone, but I love it here." "The sea is beautiful, of course," he says. "But just look at these mountains. The snow and the cold aren't for everyone, but I love it here." 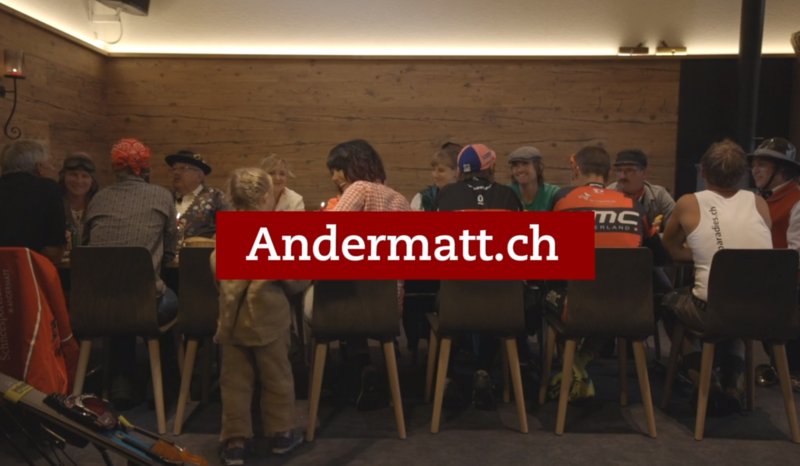 It's been 23 years since Victor first moved here and he now thinks of Andermatt as home. He's on good terms with locals and regulars alike. "Whenever my customers come back," he says, "they ask me how life is going. It really makes me happy to think that they've remembered me." 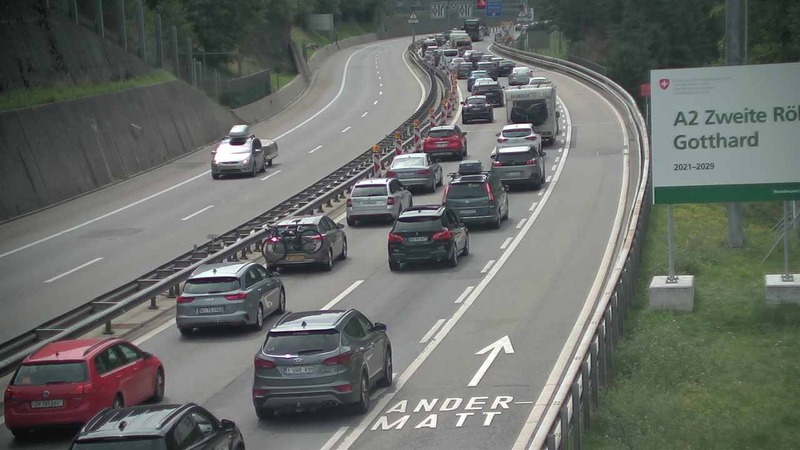 At 16:19 exactly, the après-ski train pulls into Andermatt, its final destination, for the second and final time today. Contented and well fed and watered, around 35 passengers disembark and Victor says his farewells. But his day isn't over yet. He collects the empty glasses and cups, pulls on his hi-vis vest and crosses the tracks. In the main station building, he loads the washing up into a dishwasher. During the course of the day, he has served over 200 drinks and now he has to stock up on supplies for the next day. "Tomorrow's another day," says Victor as he makes his way home through the streets of his adopted hometown for a well-earned evening off..